Pseudoephedrine, you may recall, is the methamphetamine reactant that Walter White is unable to procure in early episodes of Breaking Bad, prompting him to use the “precursor” methylamine in his cook, instead. Drain cleaner, too, is a common ingredient in the production of methamphetamine. And a recipe for meth is, presumably, exactly what it sounds like. The explosion happened Saturday, July 18th, around 7:30 p.m., in NIST Building 236. 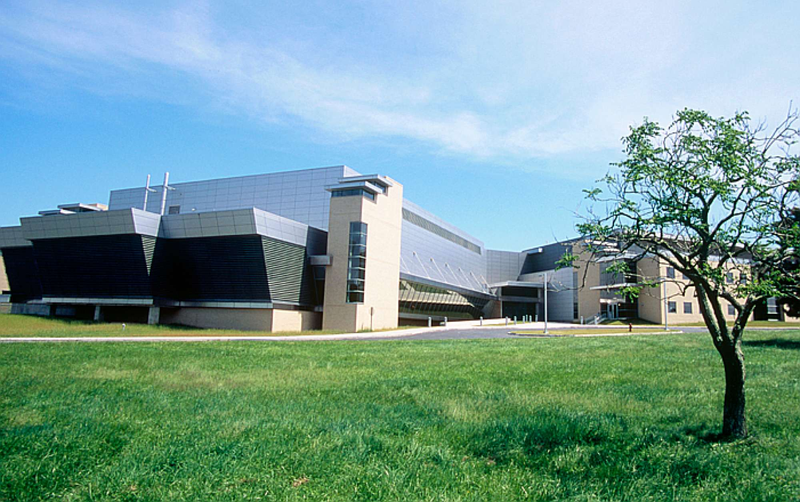 The small, “special projects” building is removed from many of the other facilities on the 578-acre NIST campus, and contains laboratories designed to conduct combustion research. The lab in which the explosion occurred was reportedly outfitted with a “blast shield” that flew some 25 feet when the room went boom. According to NIST spokeswoman Gail Porter, the lab was between experiments and therefore believed not to be in use. No scientists or research projects were harmed by the explosion. However, and this is where things get interesting, an as-yet unnamed NIST police officer did suffer burns to his hands and arms during the blast. He was treated and later released from a local trauma center. A local NBC affiliate reports the officer resigned from his position the next day, Sunday, July 19th. Police told local reporters they were investigating whether the explosion was related to a small-scale drug operation. Federal law enforcement sources (the DEA is working in collaboration with local police) have since told local reporters about the meth recipe and the ingredients that were found at the explosion site. The Associated Press has also reported that “Epsom salt and other materials associated with the manufacture of meth” were found in the lab. I’ve been unable to track down any information on the meth recipe or how investigators identified it as such. It’s safe to assume there are law enforcement experts who can recognize the chemical reactions required for meth’s synthesis—though you’ll forgive me for hoping that what investigators actually found was a sheet of paper, singed from the explosion, with the words “Recipe for Meth” printed across the top. As of Tuesday evening, no charges had been filed against the erstwhile NIST officer. We’ll keep you apprised of any updates. Contact the author at rtgonzalez@io9.com or @rtg0nzalez. Top Photo: The NIST Advanced Measurement Laboratory building | Credit: Gail Porter.